Sindhu lost to Sung Ji 16-21 22-20 18-21, despite saving eight match points. A thriving life on the edge could be coming to an end for PV Sindhu after her 21-16, 20-22, 21-18 first-round loss against Sung Ji Hyun at the All England. Saving eight match points – including three while pushing the match into a decider – Sindhu followed a pattern that she’s comfortably settled into: leaving it till late, in the firm knowledge that she can swim back from the brim even after the water reaches the throat. She even showed how it was done, clawing back in the second set with five straight points to go from 17-20 to 22-20 in what was her most coherent display of the match. But while the sixth seed once again launched a fightback at 12-19 to reach upto 18-20, Sindhu had tempted fate far too much to prevail against the Korean with a solid game. That too just three months and one tournament after she picked the circuit’s biggest prize at the World Tour Finals. A listless, clueless Sindhu at the start of the game or error-prone in patches isn’t entirely a new sight. It’s just that on either side of the Olympics silver, and through the journey of the twin World Championship finals, Sindhu has snuck in similar matches, coming back from the brink, giving her booming game sudden direction to blow away opponents in the closing stages and move onto medal-winning matters. Sindhu started the Asiad with a similar heart-stopper against little-known Vietnamese Thi Trang Vu in a three-setter with jitters over line-calls and she’s survived Cheung Ngan Yi at the Worlds two years ago early on — two jailbreaks that reinforced her belief that she could come back from the dead as a matter of routine. Except, Sung Ji Hyun, a Top 5 shuttler same time last year, would not be bluffed. Playing a robustly safe game peppered with deceptive drops, the rally player stuck to attacking Sindhu’s backhand as the Indian couldn’t summon the last two points to tilt this result the other way. Sindhu had two periods of clarity — where pushed to the wall she came out throwing her fearless punches, not necessarily of big smashes, but getting Sung to move around cleverly with her court placement. This was the 5-point surge to grab the second set and a similar five point-spew to catch up in the third from 13-20 to 18-20. Everything else was a blur of shots that she found no rhythm over yet persisted with, and a give-away body language of slumping shoulders that were sinking everytime her tosses sailed too long or smashes caught the net. An error on service soon after 9-all in the third seemed to have broken her back. Sindhu allowed six points to go past without showing urgency at 12-19, and then when she finally brought in her SOS-game, strangely devoid of any pressure or fear, Sung only needed to avoid mistakes of Set 2, keep her head and erase Sindhu’s resisting past. Sung would later talk about how extensive video analysis had helped her crack Sindhu’s game. “I’ve played her many times and known her for some time. My win came from my good (body) condition. I’d read her game from videos, where I could see her habits, and that helped today,” she said. What has always helped Sindhu at the end of these fightbacks is her ability to cause meltdowns in opponents from the sheer pressure of the rearguard assault. Sung though remained a cool cat. “In the third set, when I reached 20 points, I should’ve played more aggressively. I waited for Sindhu to make mistakes which I regret. But finally pulled it off,” she added. “Last season I had many injuries. This year I’ve been trying to pull up (my fitness) so that reflected in my performance,” she would add. 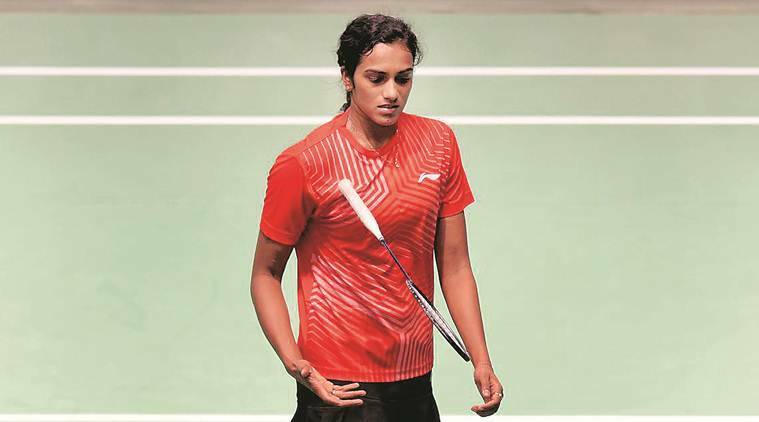 Injury-enforced breaks have a brighter side: players step off the treadmill of constant training-competing and give themselves an emotional break, which a fit-as-fiddle Sindhu hasn’t manage to afford herself. Perhaps the only player on the circuit to jump from one tournament to the next, play high-intensity finals, deal with the losses, return to training next morning, the Indian is oblivious to how consistency’s flip-side is mental fatigue. She’s in a peculiar situation where she might be physically fit enough to run a marathon, but on the court she can lapse into looking clueless. She would end with her refrain – nothing lacking in her training, but she needed to come back stronger and take this as a challenge. Maybe she needs a pause from the catching-up and moving-on routine as well.